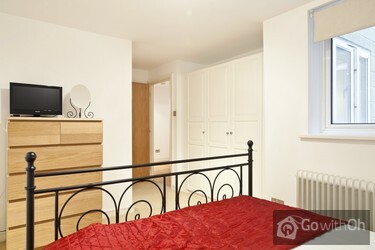 This superb 70m2 first floor flat (without lift) is located next to Waterloo station, from which you will have quick and easy access to all ends of the capital. Being only 10 minutes walk across the bridge from Big Ben, you can visit all of Londons main attractions on foot, including the London Eye, Trafalgar square, St James Park and Buckingham Palace. 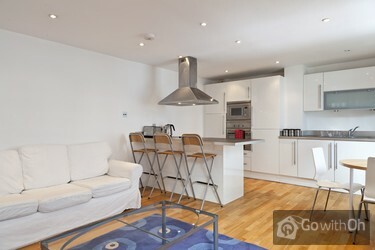 This bright apartment features a large living room including a sofa bed, a flat screen TV, a DVD player and a sound system for your entertainment. 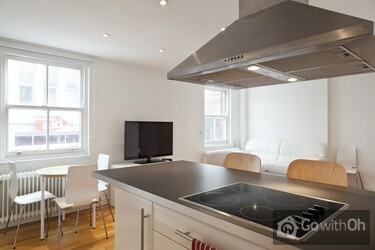 The kitchen is open-plan and features an oven, a microwave, a dishwasher, a washer/dryer and all you need for preparing your meals. There is a good sized table for enjoying dinners with your family and friends. 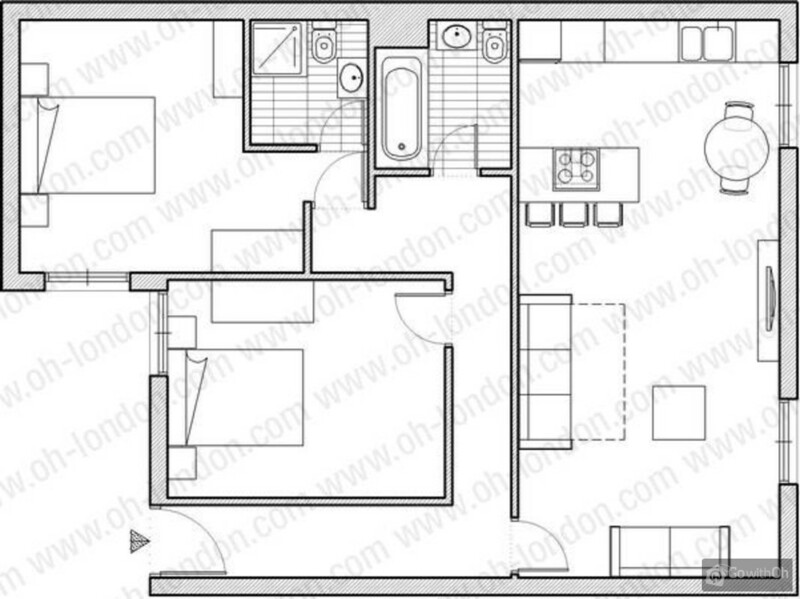 There are two spacious bedrooms containing large double beds, bedside tables and roomy closets for your belongings. In the bathroom you will find a full sized bath tub with overhead shower, ideal for relaxing after a long day out sightseeing. 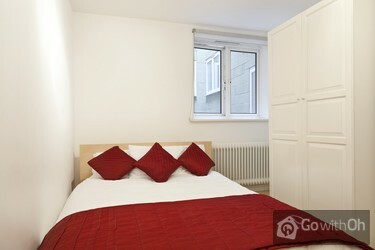 This contemporary flat is equipped with central heating and free WIFI internet access for your comfort and convenience. 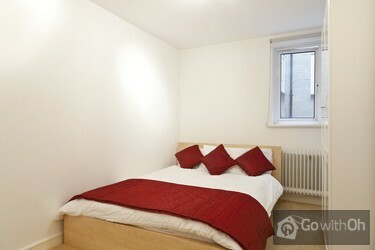 Come and enjoy this ideal location in the heart of the city. Take a stroll to the Thames Bank in just 5 minutes and visit the Hayward Gallery and Royal National Theatre. You will find a number of great pubs and gastronomic restaurants along the River. Dont miss lunch in the OXO Tower Brasserie overlooking the Thames. From 4 pm to 10 pm. After 10 pm: additional charge of 10 GBP per hour payable in cash on arrival. 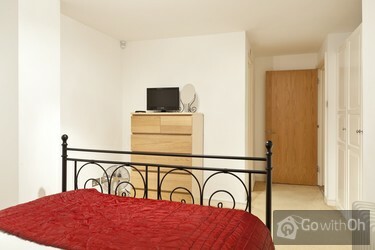 Early check in is possible from 1 pm: additional charge of 10GBP per hour. From 4 am to 11 am. 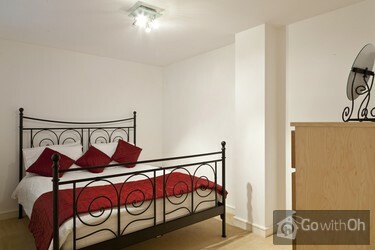 Late check out up to 10 pm is possible at additional 10 GBP per hour dependent on the time of any arrival that day. Estubimos 5 dias yde lujo. El apartamento perfecto, muy acogedor y con todo lo necesario. Situado en el centro de Londres, en una ubicacion perfecta, a 10 minutos andando del London Eye y con la parada de Waterloo a la vuelta de la esquina. Ademas os recomendaria tomar una pinta al final del dia en... un bar cercano "The duke of Sussex", tipica taberna de britanica con buena cerveza y acogedor. O sino unos mojitos en el bar cubano que hay en la esquina. Sitio idoneo, si alguna vez volevemos a Londres, que espero que si, no dudaremos en repetir estancia. El apartamento es muy cómodo y confortable, además de estar muy bien situado. La única pega es que el sofá cama del salón resulta bastante incomodo. 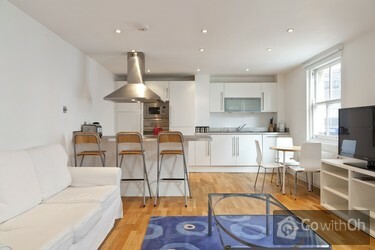 el apartamento muy comodo, me encanto, perfecto para las seis personas que íbamos , equipado con todo lo necesario. Muy cerca de la estación de metro de Waterloo y muy recomendable para cualquiera que quiera visitar Londres. 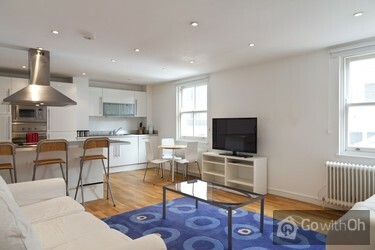 This apartment is very well located, near to Waterloo Station, Abbey of Westminster, Waterloo Bridge, Big Ben, ....There are a lot of shops in this street. And the owner is very nice and kind ! 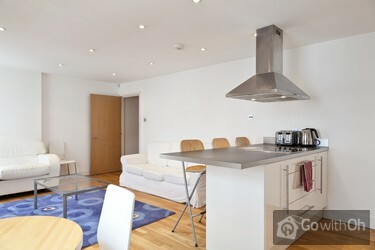 If someone wants to go to London, I recommend this flat ! Located next Waterloo Station in an interesting street. Well furbished, though some usage can be seen. Nice contact to the owner. 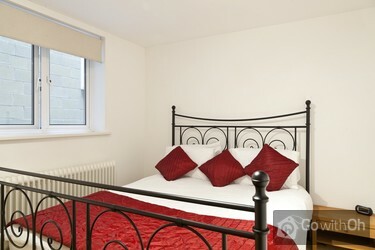 We recommend it for your stay in London. Nicht sehr sauber (Abzugshaube, Herd, Kühlschrank, Geschirr, Besteck, Töpfe, Teppich, Sitzmöbel); Dusche war nur ein Sprühnebel; kein Wohnzimmertisch. Sehr geehrter Kunde, wir danken wir Ihnen für Ihre Hinweise, die wir gerne berücksichtigen werden. Der Vermieter bestätigt, die Sauberkeit seiner Ferienwohnung selbst zu überprüfen und bekräftigt, dass sie sich in einem ausgezeichneten Zustand befindet. Weiterhin erinnert er an dieser Stelle alle Kunden, dass er für jegliche Fragen oder Kritik während des Aufenthalts jederzeit für seine Kunden erreichbar ist, da er im selben Gebäude wohnt. Einfach super! Es gibt nichts zu verbessern! Falló un poco en limpieza. Cristales de toda la casa y el armarito del baño pequeño que lo deberían tirar. También el bote del azúcar estaba asqueroso pero eso quizás sea culpa de los anteriores huéspedes. Como sugerencia, creo que hace falta una silla en la habitación grande. Salvo eso, lo demás bien, y lo mejor, sin duda, la ubicación .